We are living in a food paradox. Our current culinary trends emphasize ultra-fresh, clean, local food, preferably directly from the farmer. But whether you're a hard-partying hipster, or an overscheduled parent, who has the time to spend on Saturday mornings trawling the farmers market for kale and kohlrabi? Outside of Charlotte's thriving farmers markets, there is additional demand for high-quality ingredients, boosting the popularity of meal and grocery delivery services like Instacart and Blue Apron. That's the market Jesse Leadbetter hopes to tap with his local-food delivery service Freshlist. The fledgling company aims to pair the convenience of home delivery with the quality and freshness of locally-grown ingredients. "Amazon, Blue Apron — none of those people can compete on that kind of level," Leadbetter says. But that's not at all where the self-described corporate refugee expected to find himself. Leadbetter, a fresh-faced entrepreneur with a trim, ginger beard, grew up in Texas, went to Oklahoma University for a degree in marketing, and landed in Charlotte seeking "somewhere different that wasn't flat and hot." He worked for eight years in the sports collectibles industry before realizing he wanted more. "I've always had that kind of entrepreneurial spirit, and I knew I was going to wake up one day, at 60, and regret not at least trying to do something a little more meaningful," Leadbetter says. 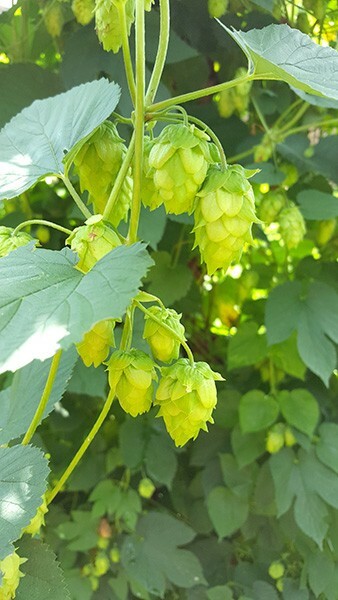 He's standing beside a small chicken coop in his oversized backyard garden where he grows a variety of crops largely for local breweries — jalapeños for Birdsong; lavender, Thai basil and peaches for Heist; and of course, hops. "That was the easy part, realizing I was unhappy," he continues. "The hard part was figuring out what I actually wanted to do." As it turned out, Leadbetter only had to look out his back door. 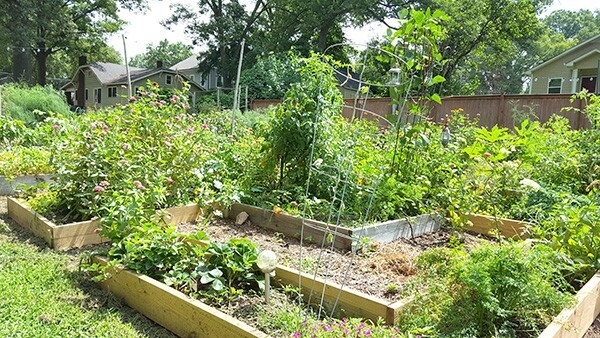 He and his girlfriend had moved into their home in the Belmont neighborhood in 2009, and started a few small garden beds the next spring. His limited gardening experience came via his grandmother — a circumstance he's found common among his peers. "I feel like our generation's grandparents farmed or gardened, all of them," Leadbetter says. "And it only took one generation for us to be completely removed from that." 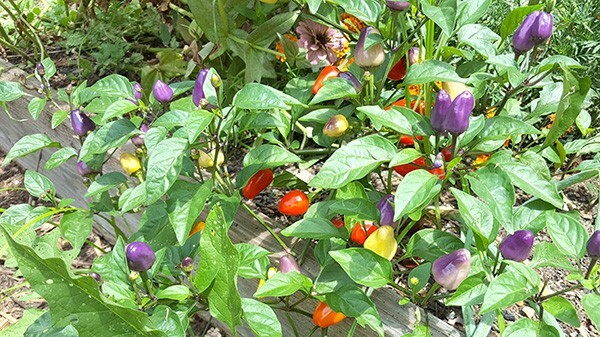 Today, Leadbetter's garden beds have morphed into a small urban farm dubbed Soulshine Organics, spread across an adjacent lot purchased with neighbors in 2012. 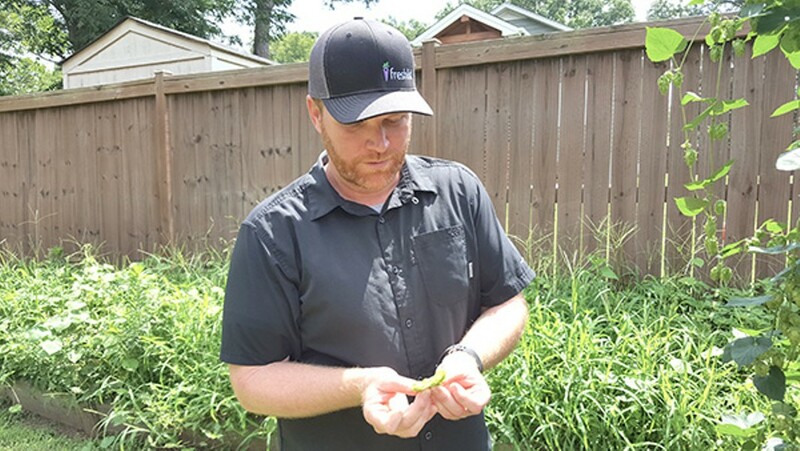 His interest in clean, fresh food grew along with it, while burgeoning contacts in local agriculture led to learning about the complexities of America's farming industry and fostered an urge to help local growers and chefs. In 2013, Leadbetter dreamed up the first iteration of Freshlist, enlisting friends as financial backers and logistical consultants. "We wanted to create a platform where farms list their inventory and chefs could log on and buy it," he says. "We didn't want to be a middle man, we didn't want to handle logistics; we just wanted to keep chef Paul connected directly with [any given] farmer." But after leaving his job in 2014 and launching the Freshlist website in 2016, he quickly heard calls for expanded service. "We realized that all these restaurants that don't have time to go to farmers markets on Saturdays needed something a little more like the Sysco service they had, where if they needed delivery on a Tuesday, they can get it," Leadbetter says. So this summer the company bit the bullet and purchased a Dodge ProMaster delivery van. For the moment, the Freshlist van hits the streets twice a week, bringing Tega Hills lettuces and microgreens to 25 customers around Charlotte. Farmer Mindy Robinson says handing over deliveries will allow her to make better use of her own staff. "Now that Jesse has entered the picture, it lets me shift my people here," Robinson says. "Everything flows a lot smoother when everyone's on the farm." Leadbetter plans to add other growers' products, with the goal to expand the number of participants on both sides of the service. "Aggregating from different farms to help the bigger restaurants was the piece that we really needed to have in place," he says. "The van is a big step in that process." It's also the reason we civilian shoppers should sit up and take notice, because, as Leadbetter says, "If we have a van, we should do home deliveries." Beginning Sunday, August 27, Freshlist will offer its services to residents in select zip codes in Charlotte. Customers will place their orders by Thursday at Freshlist.com, choosing from produce, meats, seafood, even baked goods, condiments and coffee — "anything you'd see in a grocery store, as long as it's being done locally." Sundays will find purchases dropped at front doors in insulated containers designed to "preserve the cold chain" for up to 48 hours, even on hot Carolina afternoons. As Freshlist finds its feet, coverage will expand further toward the outskirts of the city. This service wasn't at all in the plans Leadbetter originally developed, as he was fearful of "scope creep," or uncontrolled growth, spreading the Freshlist concept too thin. "It wasn't until we realized that it was going to be good for the farms," Leadbetter says, "If we did something like getting local groceries delivered, or a meal kit with local ingredients put together with a local chef." Those meal kits are part of his plans for growing organically as the market builds. He'd also like to include local wines, beers and spirits, and he's talking to New Appalachian, a wholesale distributor based in Ashe County. "When stuff's out of season here because it's too hot, we can move [sourcing] out to the mountains," Leadbetter says, explaining that he doesn't necessarily define "local" in terms of miles. "For us, it's as local as possible, as long as the grower is transparent," he adds. Transparency features heavily in Freshlist's policies, and is only one criteria in selecting vendors. "One of our standards is that the producers have to contribute to the community and pay fair wages," Leadbetter says. Regardless of whether he is helping farmers move a bumper crop, chefs streamline their orders, or area residents fit local food into their busy lives, it all comes down to community for Leadbetter. "When people think about local food, they think it's important because it's fewer food miles," he says. "For me, local food is about the strength of your local economy." One day Leadbetter hopes to transplant his model to other cities around the U.S., with an eye toward his old stomping grounds in Texas. When that day comes, we can tout Freshlist as another great food idea grown in North Carolina — all thanks to a corporate refugee and his backyard.